It's Westfield Stratford City's First Birthday Party! 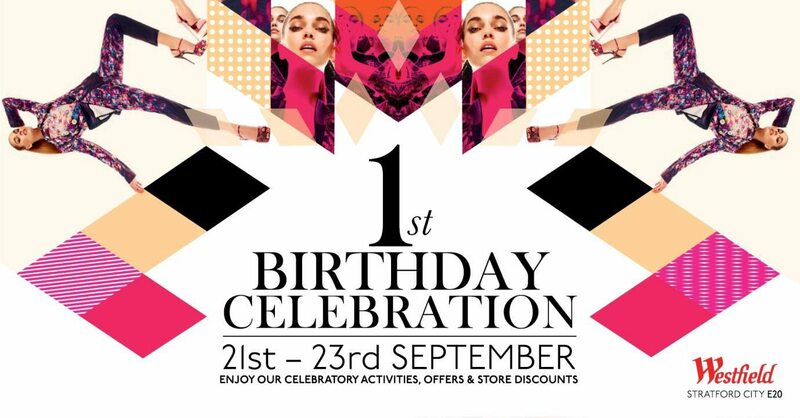 It’s Westfield Stratford City’s First Birthday Party! We are going to a bithday party, not any old birthday party; but a Shopping Centre’s one. No idea what THAT cake will look like, but they have loads of stuff going on today, and Saturday 22nd and Sunday 23rd September. Juggling, a ring master, mime, stilt walking, and balloon modelling, There will, of course, be clowns too! In addition to this, some 40 retailers are also putting on special offers, including giveaways; there WILL be 500 free cupcakes donated by Waitrose and Buttercup Cake Shop on the Saturday and Sunday too. So if you have time, and live near Stratford; why not nip along. It’s not many people who can say they have been to a Shopping Centre’s Birthday Party after all….